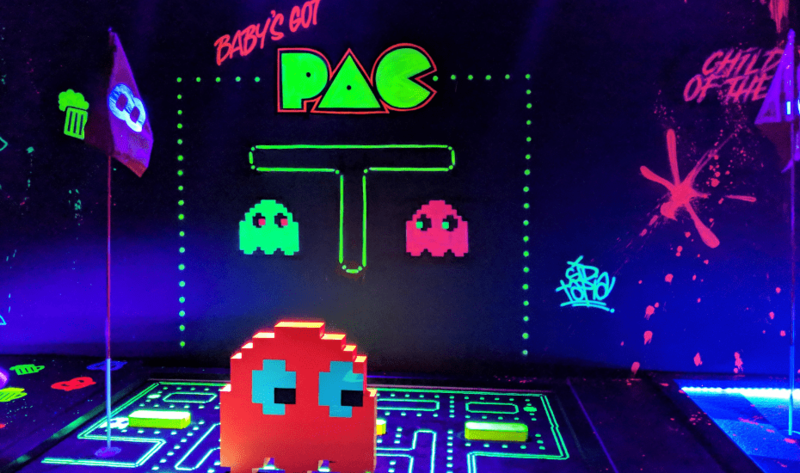 Remember when we raved about all the coolest themed bars in Singapore and not-so-subtly drooled over Holey Moley? Well, if you haven’t noticed, it’s now December and apart from going Christmas crazy and making the most of the last of the ‘ber months, there’s one more place you ought to swing by (wink wink). 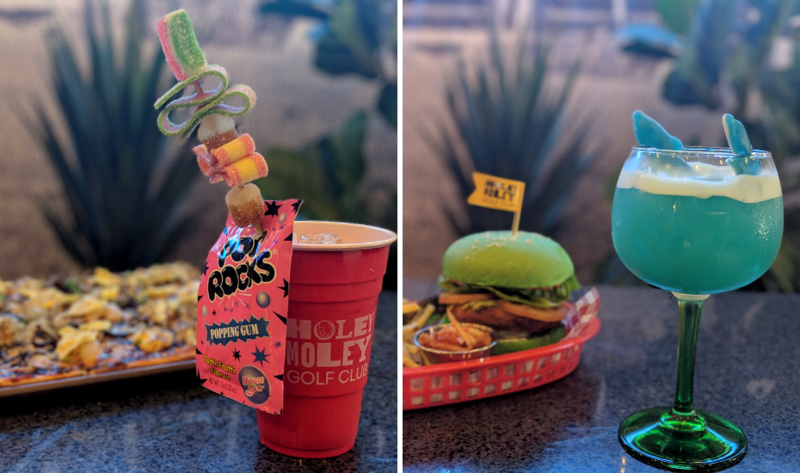 Teeing off in Clarke Quay is one crazy two-storey drinking game of sorts – Holey Moley (an Australian concept) opens on 6 December 2018. Remember how bummed you were when Shanghai Dolly shut shop in April? 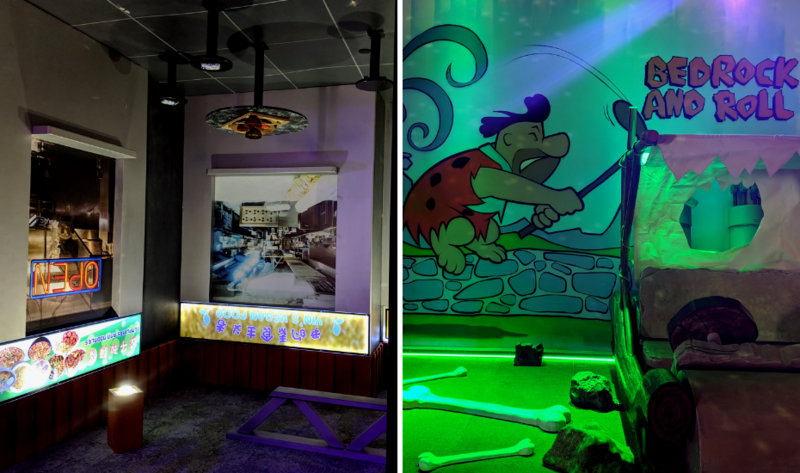 Well, that iconic space is now home to something rather incredible – Holey Moley, Singapore’s first mini-golf course. And it’s everything we had ever imagined… with an extra sprinkling of punny neon signs. 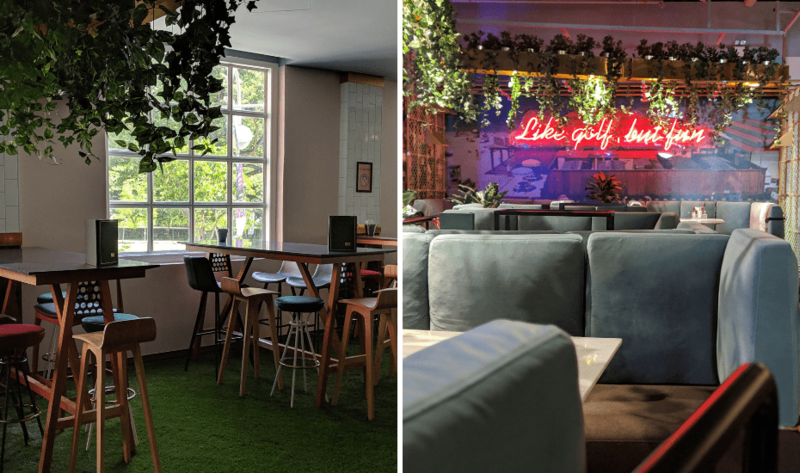 Be warned, every nook and corner is highly Instagrammable – yeah yeah, we know it sounds like we’re exaggerating but we’re not. Well with all those punny neon signs, vintage collectables, OTT themed mini-golf courses, freaky cocktails and chunky bar food, who could blame you for being shutter happy AF? 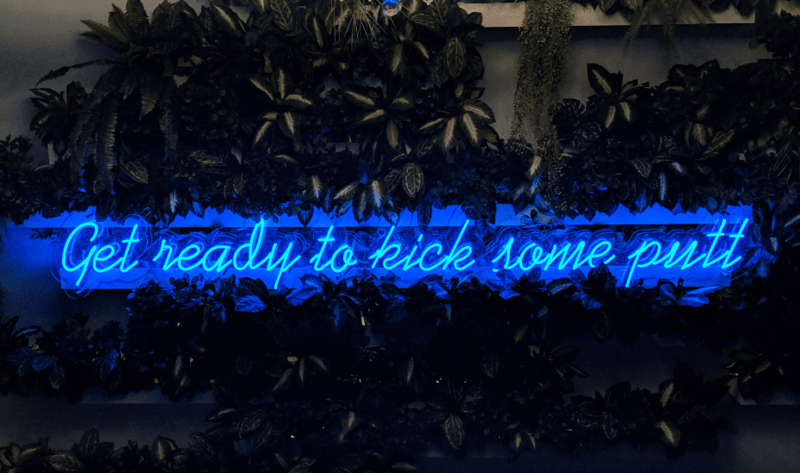 TL;DR: its fandom heaven meets Instagram gold, y’all! Look at that sign. 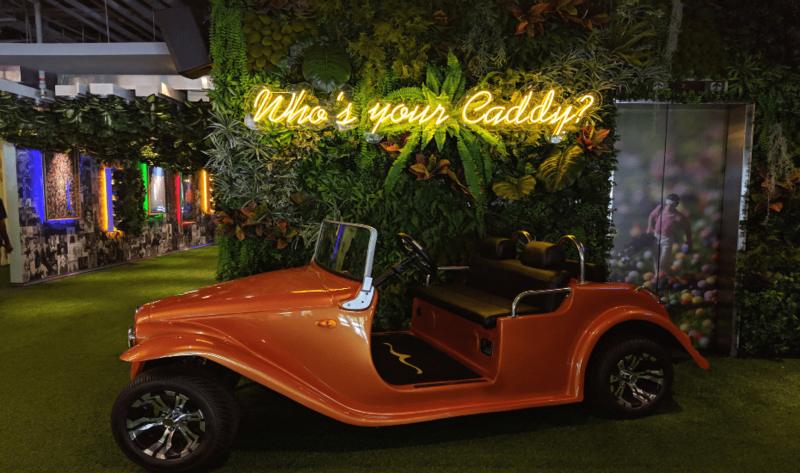 We couldn’t have said it better – it’s like golf but a helluva lotta fun… and indoors with aircon, cocktails, burgers and pop hits. Do you need to be good at golf? Hell no! The only thing serious here is Holey Moley’s borderline obsession with puns. 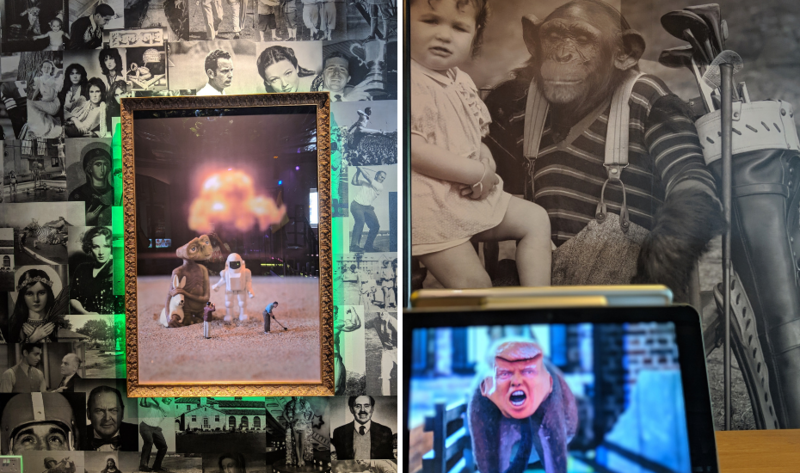 Every single of the 27 holes are themed – we’re talking Alice in Wonderland, Back to the Future, Game of Thrones, ET, The Simpsons and what not. 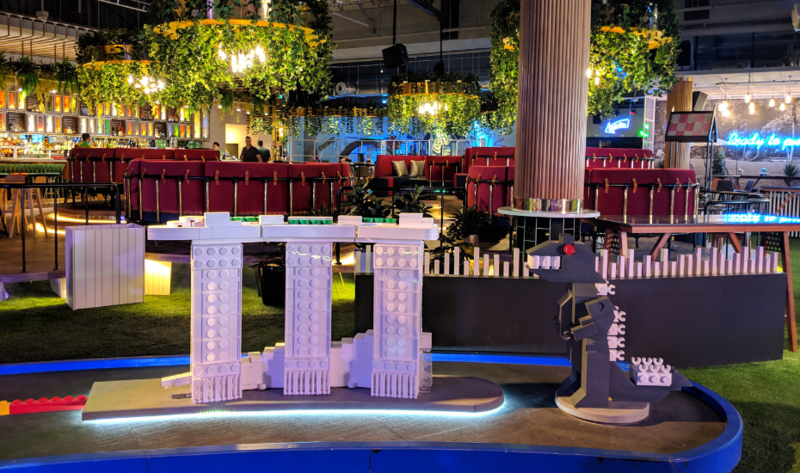 There’s also an upside down hawker centre (complete with tissues to chope) and a Lego Marina Bay Sands with a Godzilla for size. 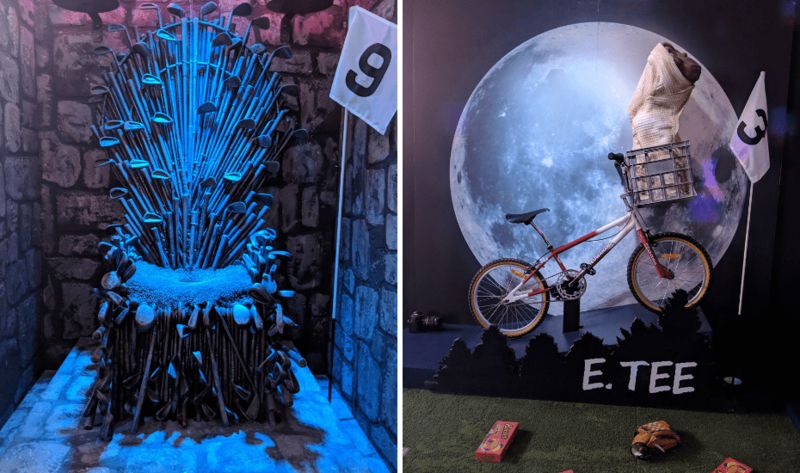 Before you ask, yes, of course, you can sit/stand on the Iron Throne, Homer’s couch, Marty’s hoverboard and pretend to rescue ET like your life depended on it. Think of it like a massive photobooth where being goofy with your mates is almost mandatory. Oh, and there’s a whole darkroom on level 1 of this 17,352 sq ft space with three crazy neon holes totally tailor-made for “likes”. 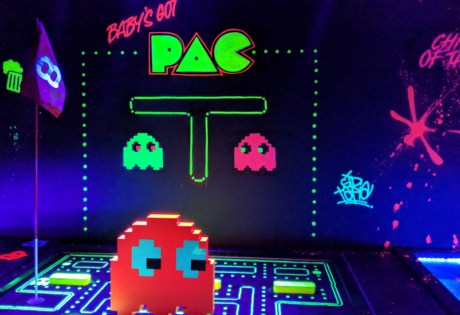 You know what makes a wacky mini golf place extra fun? Positively quirky cocktails and food. 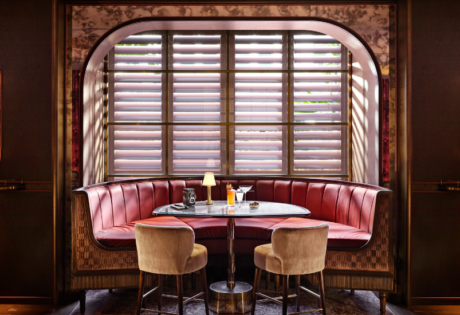 Leave your ridiculous diet at the door, sink down in a retro-esque booth and treat yo’self your crazy drinks – like shark tank complete with gummies, candyman that’s a classic margarita gone rogue with fairy floss and jelly bean or sugar caddy, a fruity vodka drink complete with candy kebab and pop rocks for effect. 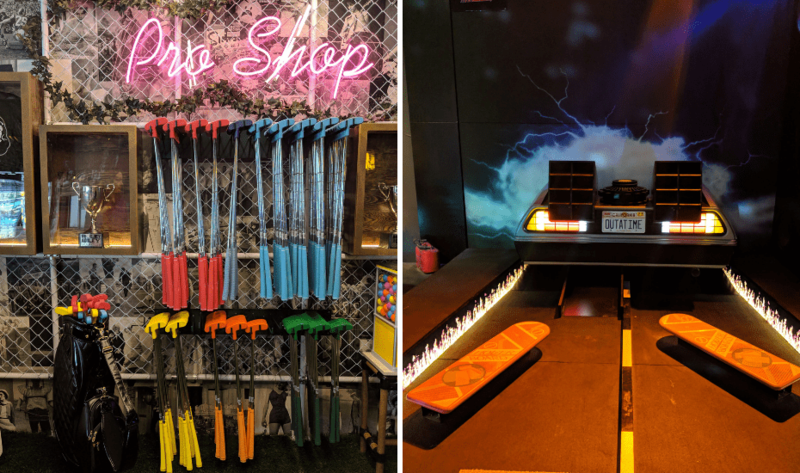 Let’s pretend mini golfing is cardio and stuff face with some chunky bar bites. Choose from pizzas (including a metre long anomaly), bigass burgers with coloured buns (including a 99++ two-pound beef patty and pulled beef brisket one), hot dogs, fries, kiddie menus and sharing platters. Here’s the lowdown – there are three courses, each with nine holes. You and your crew need to sign up for at least one course. Depending on the day of the week and the time, pricing starts at $12 for 9 holes and goes up to $50 for 27 holes. Check Holey Moley’s website for deets. Psst: A little birdie told us Holey Moley might have Ladies Night soon. Nothing is set in stone yet but we’ll keep you posted! 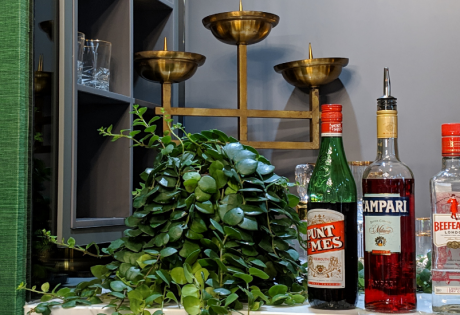 Have you been to these secret bars and speakeasies yet?